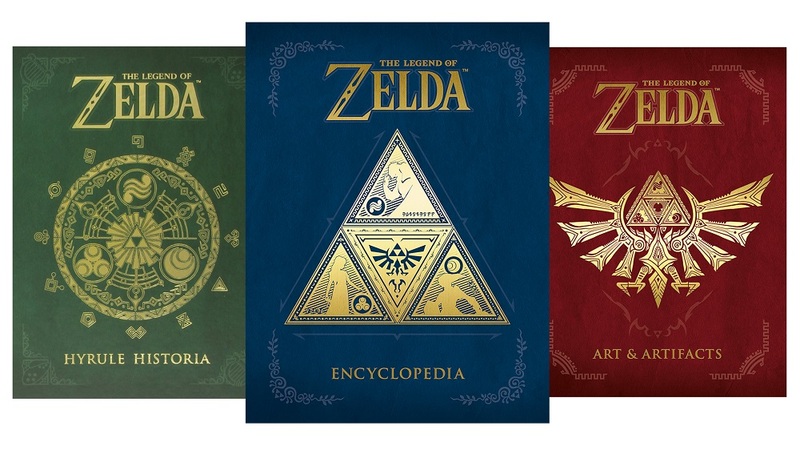 Like the legendary Triforce itself, the trifecta is complete, as Dark Horse Publishing have announced the third tome in their acclaimed series of Zelda books, The Legend of Zelda Encyclopedia. This 320-page volume will be a go-to guide to the land of Hyrule and beyond, with pages dedicated to characters, enemies, items, maps and many more of the wonderful places and people that have made the Zelda series beloved by millions of fans worldwide. This third book is designed to sit neatly alongside previous releases Hyrule Historia and Art and Artifacts to make for a very comprehensive guide to the series, from the NES classics all the way up until Twilight Princess HD. As of yet, any featured Breath of the Wild content will sadly just be a "nice surprise". The Legend of Zelda Encyclopedia is scheduled for release in April 2018, priced at $40.